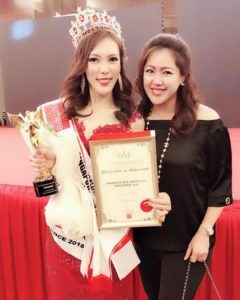 Singapore – July 07, 2018 – Sensedebelle has proudly announced the supporting sponsorship of Mrs Singapore Worldwide 2018, held on 24th June 2018 at Singapore Island Country Club for 2nd consecutive year. Congrats to Fanelle Chua for clinching Mrs Singapore Worldwide 2018 and we wish her all the best for the Mrs Worldwide 2019. Based in Singapore, Sensedebelle takes the achievement of aesthetic results to the next level with its seasoned beauticians and professionals. Sensedebelle specializes in facials, body contouring and permanent removal of unwanted hair. Our brand is achieving good results by using scientifically proven technologies that are blended with traditional methodologies. Our Signature Trilipo Contouring Treatment uniquely combines two effective technologies that create a synergistic effect that delivers non-invasion fat removal and lymphatic drainage, as well as skin tightening for permanent results. 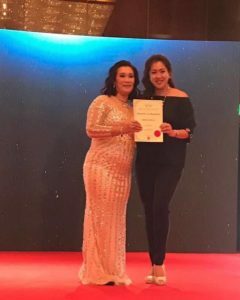 Finalists for Mrs Singapore Worldwide experienced instant contouring session before their grand finals and thank you for sharing awesome reviews for raving results. Sensedebelle is a company that provides beauty services. The company is highly equipped to offer a first class beautification services. Their obsession with perfection has been their source of motivations and has propelled the company to the highest level in the industry. Sensedebelle is a perfect haven to achieve aesthetic results with pampering hands and caring hearts. Sensedebelle adopted the idea of the renowned DR. BELTER PROFESSIONAL CARE CONCEPT which stands for innovation in the professional application, based on natural science with visible results and maximum skin compatibility. The founder of the beauty company was inspired by the fascinating diversity of nature in achieving aesthetic procedures using precious domestic and exotic botanicals. Age is timeless and so is you. Reclaim your beauty with Sensedebelle today!